Liverpool Ladies will begin their 2017 FA Women’s Spring Series campaign with a trip to newly promoted Yeovil Town Ladies at Huish Park on April 23. Scott Rogers’ team will then welcome Reading Ladies FC to the Select Security Stadium on April 28 before back to back away games with Arsenal Ladies (May 3/4) and Birmingham City Ladies (May 7) respectively. The Reds’ Spring Series season will conclude with a home game in Widnes against WSL champions Manchester City Women on June 3. The Spring Series consists of just nine fixtures, as the WSL moves from a summer league format to the traditional football calendar, from September until May – beginning in September 2017. See below for a full fixture list for the 2017 FA Women’s Spring Series. Please note that all dates are subject to change for television coverage. 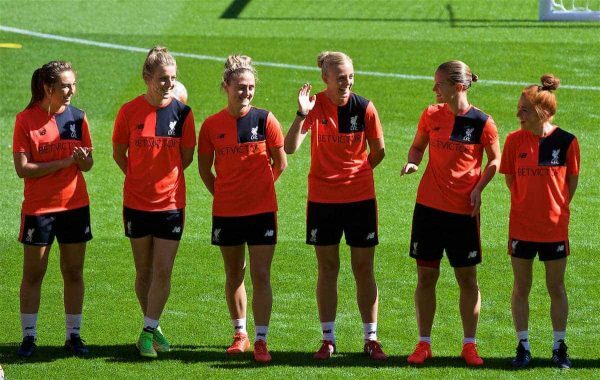 Liverpool Ladies won the WSL in 2014 and 2013, and finished fifth last season.